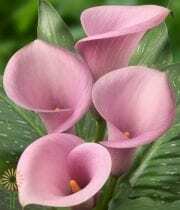 Calla lilies vary in length from 40 -50 cm often referred to as “Mini Callas “. 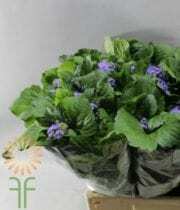 The grade is 10 stems per bunch. 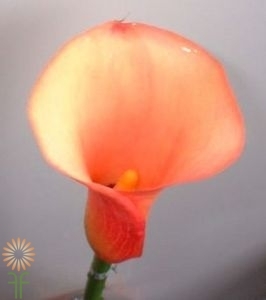 Peach Callas are used in wedding bouquets and vase arrangements. For care and handling alway use a very clean vase. 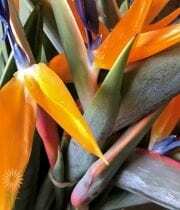 Fill it with fresh, cool water add a package of cut-flower food to the vase included in your shipment Handle Calla lilies with care because they can bruise easily. Hold each stem next to your vase to gauge how much you’ll need to trim. Using a sharp knife or a floral scissor cut stems at a 45-degree angle. This allows for better water absorption in the vase. Calla lilies are particularly thirsty flowers. Check the water level in your vase often, and add more water as necessary. 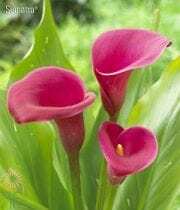 Recondition your callas every two or three days: Recut the stems, change the water, and add flower food if flower food is used up, refill your vase with a solution of one teaspoon sugar and two drops liquid bleach per gallon of fresh water. 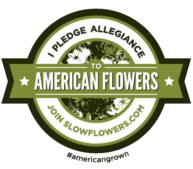 Keep flowers in a cool area away from drafts and out of direct sunlight . Have Calla’s arrive on a Thursday for a weekend event. Please order in advance. Peach Calla Lilies are great to use in bouquets and vase arrangements.